DOES EVERYBODY EXPECTS YOU TO BE PERFECT, ADAPT TO CHANGES, SOLVE ANY PROBLEM WITHIN NO TIME? GET A SPARRING PARTNER! Due to a more global, connected and diverse working environment, leadership and communication skills also have to change. More and more gaps in leadership are to be expected. Coaching is a creative process, in which the client (=Coachee) is supported to develop her/his optimal potential. The applied methods are based, amongst others, on techniques after Steve de Shazer (solution- and resource oriented) as well as from the classical and topic concentrated coaching. You will be supported by selected NLP-techniques and limbic, emotional assisted systems. 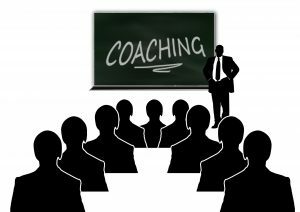 Consequently every client is coached based on the individual needs.